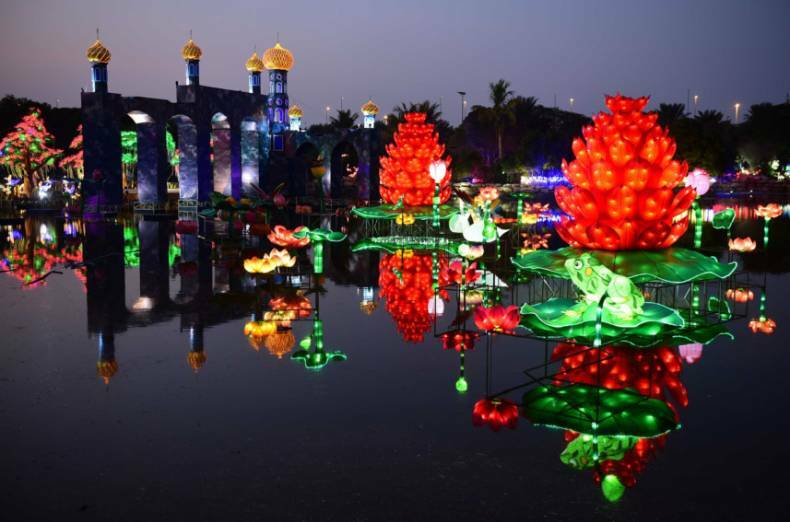 With the theme ‘Art by Day, Glow by Night’, Dubai Garden Glow is all set to amaze the residents of Dubai and abroad with its wonderful light decoration. Spread across 40 acres of land, the theme garden in Zabeel Park will be open to public from today till April 2016. The AED 30 million project is considered to be the next tourism landmark of Dubai. 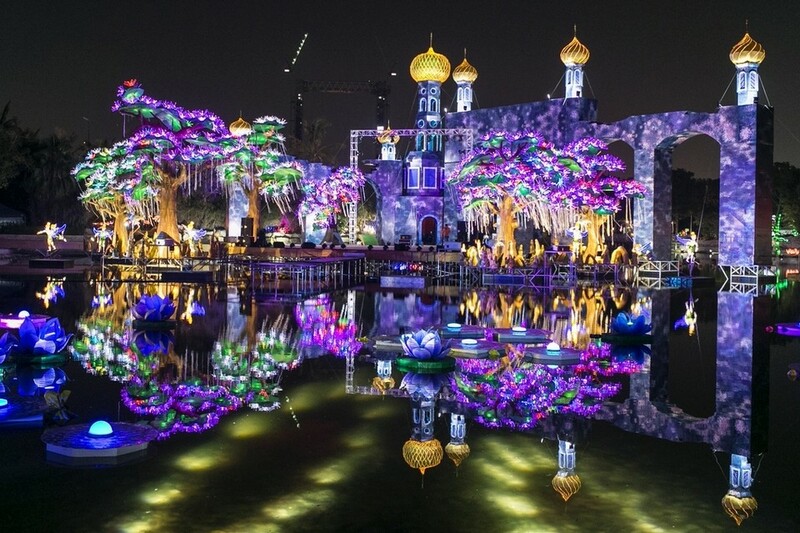 Considered as the world’s largest and Dubai’s first glow destination, the garden comprises four million lights in multiple colors. 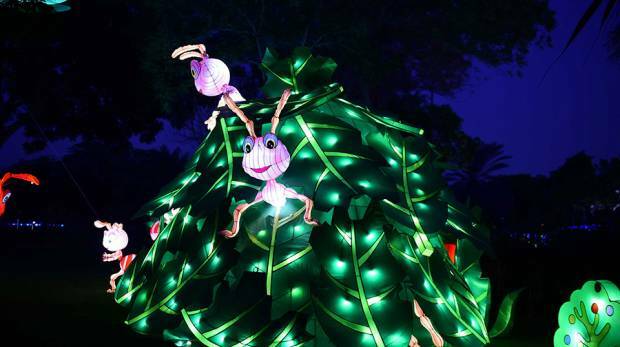 In line with its theme, all flora and fauna of the park will be illuminated once the sun sets. You can enjoy the artistic beauty of the garden during daytime and the glow at night. With the use of recycled silk fabric and energy saving lights, the park, developed by The Retailers Investment Group, gives finishing touch to its art work and stands apart from others. 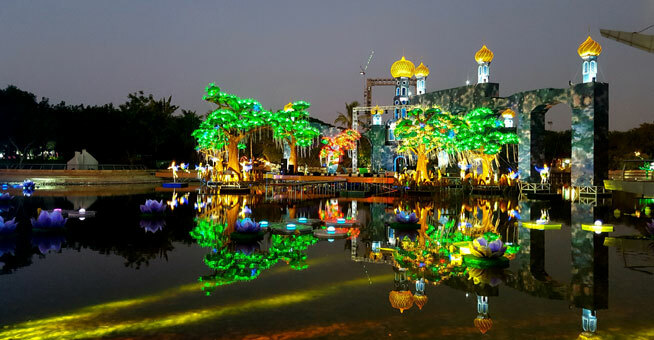 What is special about Dubai Garden Glow? It took around 18 months of planning, 200,000 man hours, and 150 artists from across the word to complete the unique project. This artistic venture has been inspired by the wonders of the world. Visitors can be taken to Masai Mara wild beast migration to the tulips of the Netherlands. The garden will also feature a variety of live performances by artists and acrobats across the globe. Visitors can enjoy a wide range of food from across the world at the food street in the garden. People can even enjoy the light and water show. The Dubai municipality is expecting to draw in around 5,000 visitors in a day. Entry fee to the garden has been set at AED 60 per person. For children below three years, entry will be free. Additionally, the ticket price does not include the regular entry fee of AED 5 for the entry into other places of the park. The garden will open to visitors from 4 PM to 11 PM for the public.